The Australian government’s chief scientific body says there is no apparent technical impediment to reaching 100 per cent renewables for the national electricity grid, and levels of up to 30 per cent renewable energy should be considered as just “trivial” in current energy systems… Graham said the challenges could start to emerge when the penetration of wind and solar move above 40 per cent –as it has in South Australia, which explains why it is focusing on storage and is finally getting traction on its call for changes to energy market rules. Youtube text: Several European countries have policies to encourage the development of renewable energy sources. This is identified in, for example, the European green paper Energy strategy for a sustainable, competitive and secure energy supply (March 2006). In the transition towards a European sustainable energy system for the future and to reduce the dependency of imported primary energy sources such as oil and gas, the development of offshore wind power is an essential element. EWEA assumes that almost 120,000 MW offshore wind power will be realised in the next two decades, amounting to 10% of the installed generating capacity. Apart from offshore wind energy, other offshore renewable energy sources such as wave energy, tidal energy and some experimental technologies of offshore energy have been considered. Recent blackouts within Europe have shown that there is a need for increased European co-ordination regarding the transmission of electricity including aspects related to interconnections. 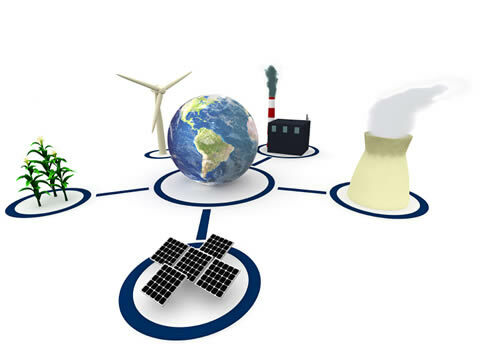 In the EU technology platform Smart Grids, attention is paid to the networks of the future to ensure that they can accommodate and facilitate large amounts of renewable energy, both distributed and concentrated. Following the European Smart Grids line of thinking, Airtricity has proposed a European offshore super grid (HVDC based on Voltage Source Converter technology), combining the grid integration of offshore wind farms with an interconnection grid between countries at sea. One could extend the role of this grid and connect all “ocean power” to it. The supergrid could then be part of the European backbone to connect and transmit bulk renewable power from remote generation sites, even as far as North Africa (Desertec). The goal of this webinar is to discuss “Ocean Grids”, grids at sea, at a conceptual level. The idea behind Ocean Grids is to provide an offshore backbone for the mainland transmission networks on one hand, and connection points for offshore wind power stations on the other hand. 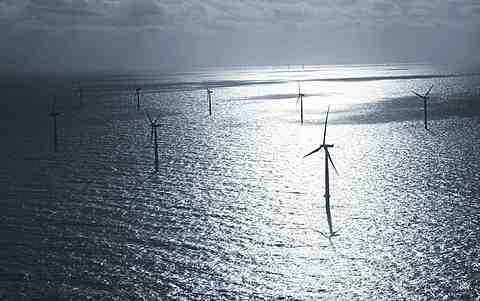 This will include offshore wind energy and other potential energy sources at sea. 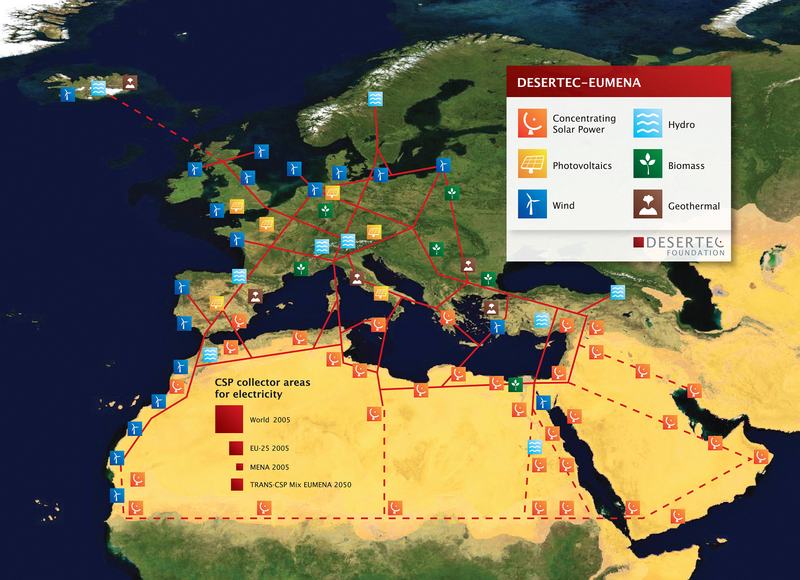 Something is happening in Europe in response to the immanent energy crisis: Desertec. A project aiming at generating electricity by thermal solar power in the Sahara desert.